CTA Pink Line trains are moving again between the 54th/Cermak and Pulaski stations after flooding halted service for several hours early Tuesday morning. 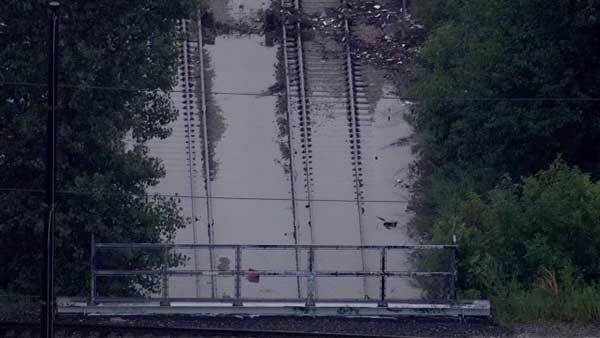 CHICAGO (WLS) -- CTA Pink Line trains are moving again between the 54th/Cermak and Pulaski stations after flooding halted service for several hours early Tuesday morning. High-standing water on the tracks near Cicero prompted the service alert around 12:20 a.m. after strong storms ripped through the area. Service resumed around 7:30 a.m. Trains were operating with residual delays.